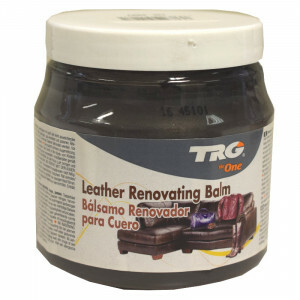 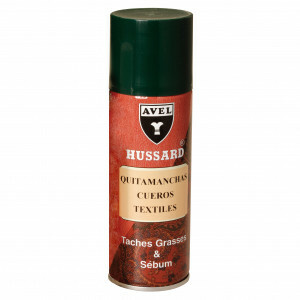 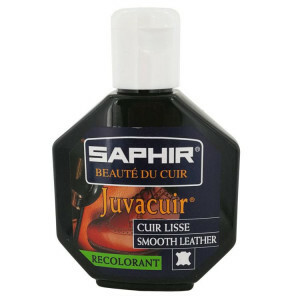 -Animal waxes such as beeswax (8,6 % of the total weight of waxes) designed to nourish and soften the leather. 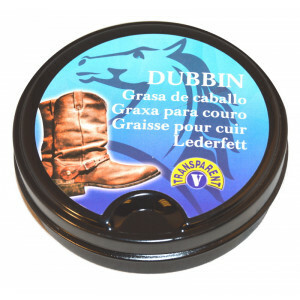 - Vegetable waxes such as carnauba to give a lasting shine. 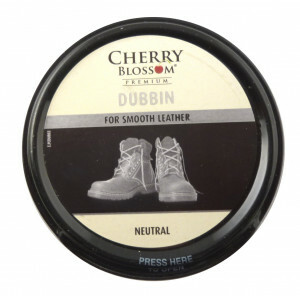 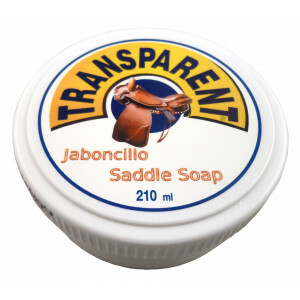 -Mineral waxes designed to waterproof and protect the leather. 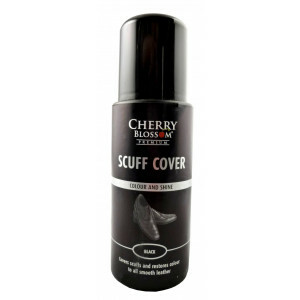 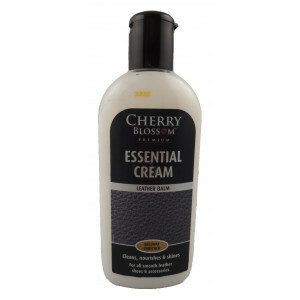 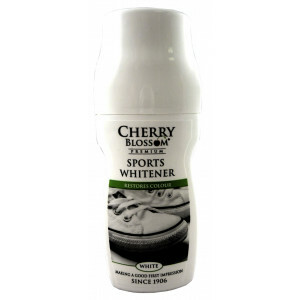 1 .- Remove any dust or dirt from shoe..
2 .- Apply without excess and with the help of a soft cotton cloth or a silk hair brush. 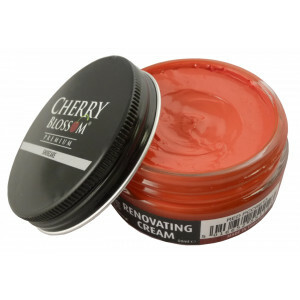 3.- Penetrate the wax in order to nourish n depth and to obtain a maximum protection. 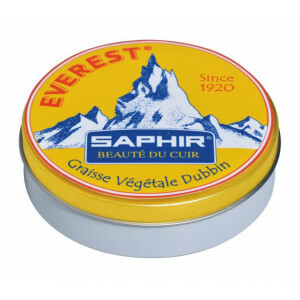 5 .- Polish with a wool cloth or a silk hair brush. 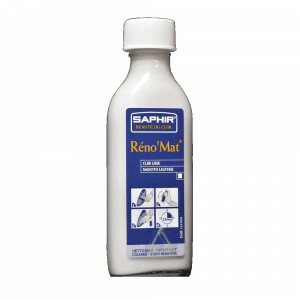 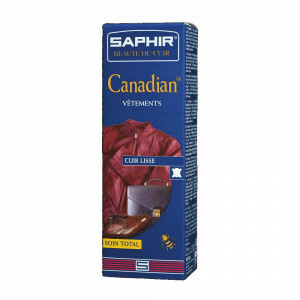 It is important to clean the leather’s pores with the help of RENOMAT SAPHIR (ref. 0514 ). 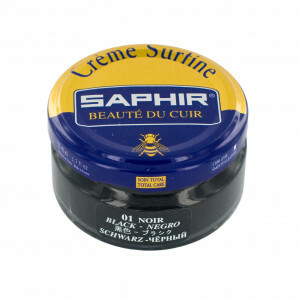 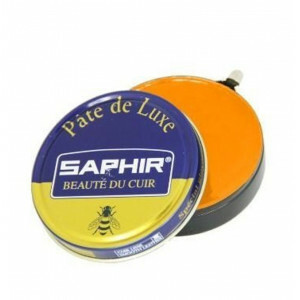 Pate de Luxe Saphir, a very nourishing traditional polish, based on beeswax and carnauba ( vegetal wax from the leaves of a Brazilian palm tree) and turpentine (obtained from the distillation of pine resin).